Fact. Have you ever looked deep into a spiral? They are mesmerising aren’t they? Have you ever seen the fractal patterns that occur in the universe around us? Well the folks over at spiral gallery have complied some beautiful examples. 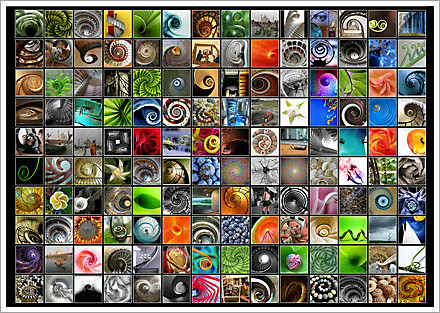 You can click the linkage “Spirals are Fun” under the pic and it will take you to a site with individually clickable spiral pictures if you are so inclined but there is no easy way (apart from a small screen capture) to print out the whole picture.